PHILADELPHIA (April 13, 2015) — Oozing with disgusting science, Animal Grossology provides a slight off-kilter view of the animal kingdom starting Saturday, May 16, with its grand opening at the Academy of Natural Sciences of Drexel University. Get ready to be totally en-GROSS-ed! 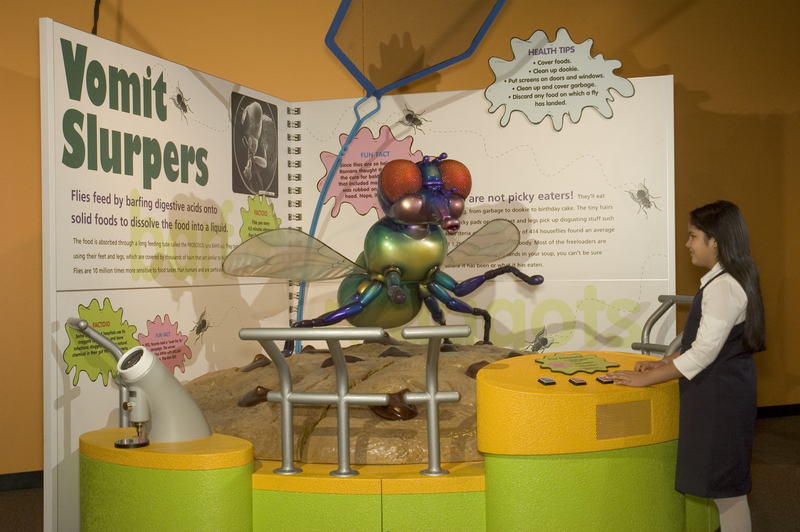 In addition to the exhibit, educators at the Academy’s Carts of Curiosity will engage visitors with live animals and animal products with gross origins (honey, silk, perfume and a type of coffee made from a certain animal feces). On most Wednesdays between 10 a.m. and 1 p.m., visitors will be able to witness the dissection of a worm, squid, urchin, or eye of a cow. Sound over the top? Bailey assures that it’s all presented in tasteful and entertaining ways that families can enjoy and learn from at the same time. Animal Grossology is on view through Aug. 30. Tickets may be purchased online at ansp.org.